The Pakistan Navy is the naval warfare branch of Pakistan Armed Forces, responsible for Pakistan’s 1,046 kilometers (650 mi) of coastline along the Arabian Sea, and the defense of important civilian harbors and military bases. 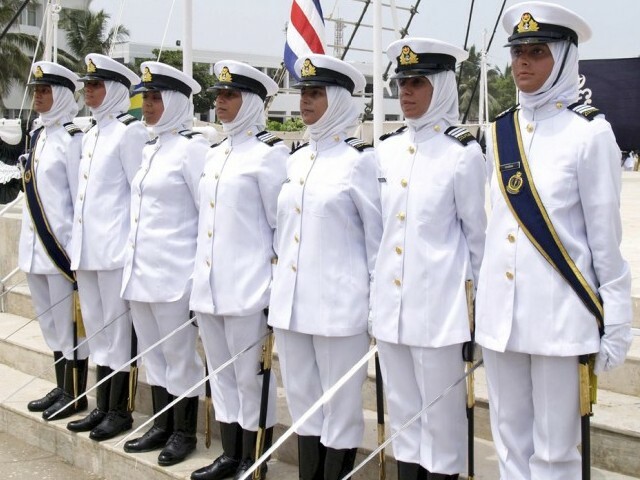 The main induction scheme in Pakistan Navy for enrollment of officers is the PN Cadet. Under this scheme Navy announces selection and recruitment two time in a year. If you are Interested to join the Pakistan Navy force So you should join. So you soul Follow these Instruction that are provided below, Eligibility Criteria, Ineligibility Criteria, Written test and Complete Procedure has been provided Below. You can get the Written Test, Initial Test, Intelligence Test, Personality Test, ISSB Test, Physical and Medical Test as well. You must prepared for the All type of Tests. So here we are providing you the Online Testing service for the Preparations, So you should Try this Service and get you answer correct answers with your answers and Test Result Instant. After the All Test then Pakistan Navy will decide that what should they do if you will be selected then you will be recommended further for the Training if you will not selected then you will not get the Call Letter. The Various Test Procedure and Online preparations has been provided by the gotest.pk. So you must preparation with us and now you should not join any type of academy for the Preparations of Written Test, Initial Test, Intelligence Test, Personality Test, ISSB Test, Because here you can get the Online Test for the Preparations and after the Attempting the Test you will get you test result instantly and can get your answer and correct answers. You can register yourself by visiting nearest PN Recruitment & Selection Centre along with following documents during the period prescribed by NHQ through advertisement. HSSC qualified male unmarried citizen of Pakistan between the age of 16.5 to 21 years are eligible to apply for PN Cadet scheme. All the applicants are initially evaluated at Navy recruitment centers. The candidates who are selected initially are asked to undergo ISSB tests. Note: Application forms will be issued to those candidates who qualify the preliminary tests/interview and medical, So you must Clare these Tests then Your applications will be proceeded further. Final selection on merit by NHQ. Gotest.pk has provided you the Online Testing service to prepare you all type of tests like Written Test, Initial Test, Intelligence Test, Personality Test, ISSB Test, Physical and Medical Test, Verbal and Nonverbal Tests etc these Test will be very helpful to you in the Preparations. and You can get the Further Info regarding Pak Navy Intelligence Test Online For Preparation Model Sample Paper Question and answer on this page.